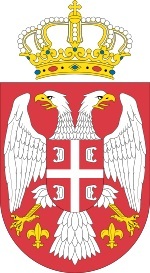 Since Yugoslavia stopped existing, a lot of things have been changing in Serbia, including the coat of arms, flag and anthem. Many things changed, but some remained the same – corruption in all spheres of life and levels is one, and the second is success in many many sports. So, thank you Serbian swimmers, waterpolo and basketball players – you have been such motivation boosters this week! a…nekad jednostavno obozavam nas narod!! !